Exceeding the Rising Standards of the Automotive Retail Experience. 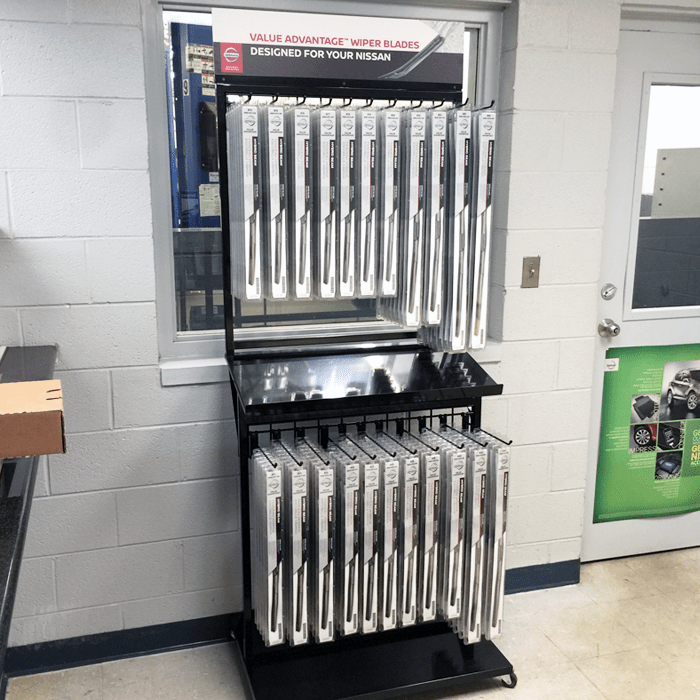 We create innovative showroom and parts department merchandising solutions. To provide sales associates at NTB and Tire Kingdom service centers a tool to better educate consumers who are buying new car tires – without having real tires on the showroom floor! Designed an educational wall display panel featuring all of the key aspects of tire construction with the use of dimensional molded representations of tire sections. 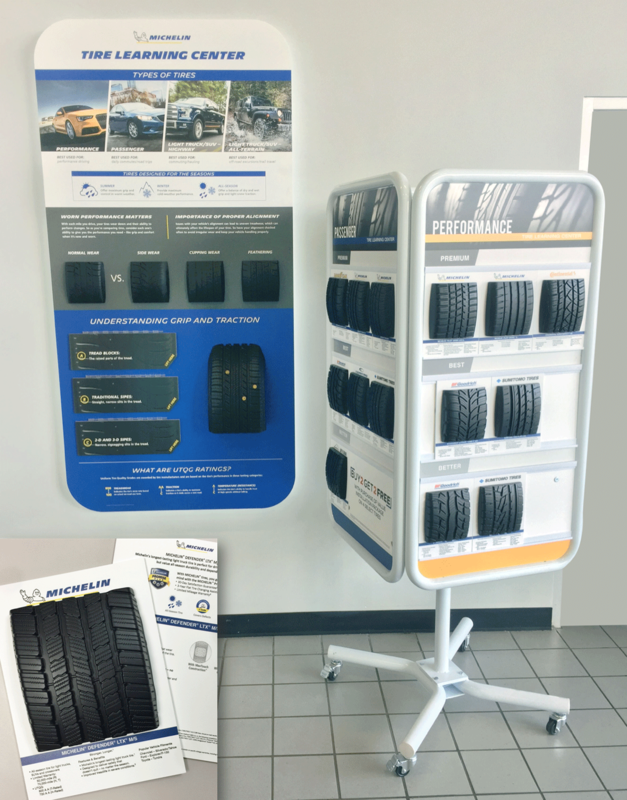 Created a companion tire floor spinner display that features 24 of the tires that these centers carry in a clear and accessible manner. Tire sections are segmented into Passenger, Performance, Light Truck/SUV, and All-Terrain categories. Each category features the Better, Best & Premium groups of tires sold. Tires are represented by molded replica sections of actual tires that feature their unique tread patterns. 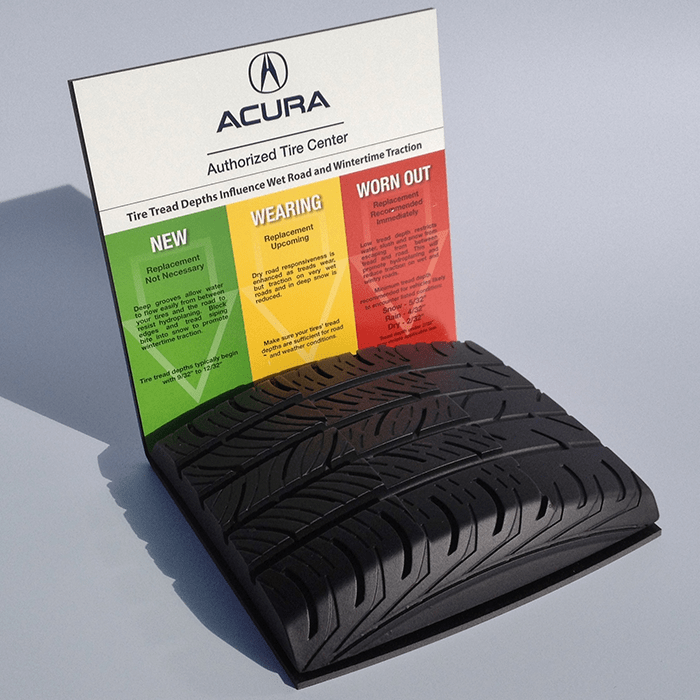 Each tire section is attached to a printed tire card that includes the manufacturers’ features and benefits. Great tool for sales associates and consumers. 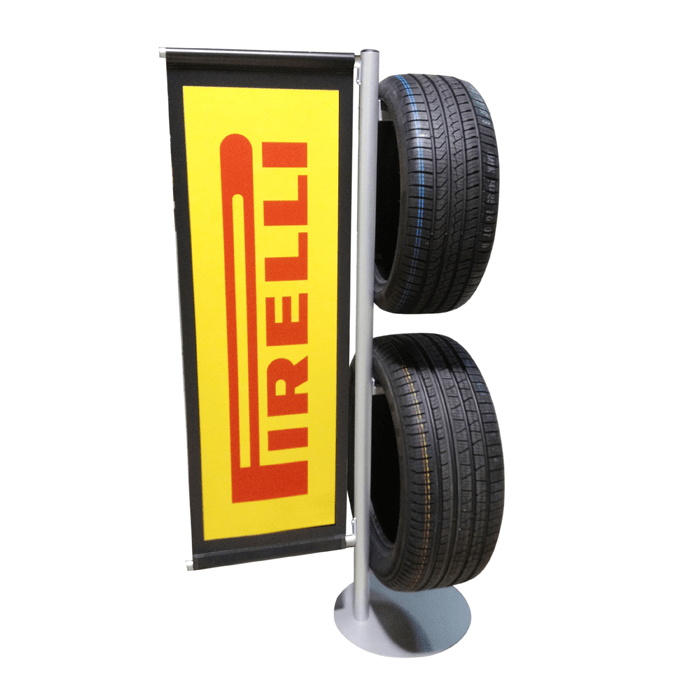 Eliminates need for actual tires displayed on showroom floor – saves space and provides more information. This program was drop shipped to over 775 dealer locations.